My boys are the most creative and sometimes daring people I know. They can turn a piece of bread into a car at one years old (JC), a small push car into a flying projectile (CC) and a puppy dog into a pillow (OC). Today the creativity went to new heights. 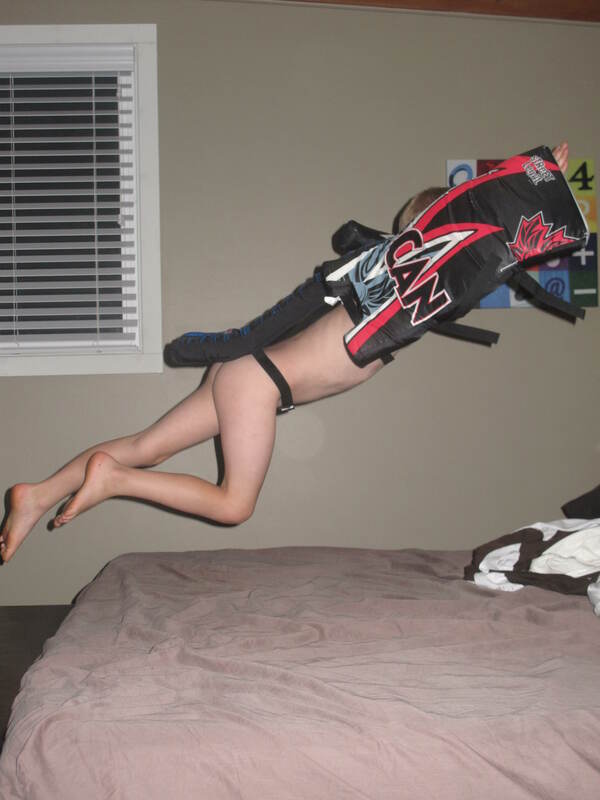 The boys turned a goalie pads into a jet pack and wings. Here is the clincher, they had to do it while naked! Why men why? Please explain this to me. I tried to take a photo without the private parts! I hope I don’t offend anyone… at least they didn’t ask to use the old crib mattress for a sled on the stairs today!